A fact sheet from IHST, for a comprehensive list of fact sheets, click here. 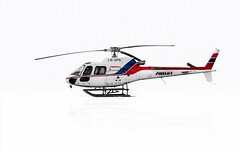 Using data from more than 500 accidents, safety experts from the International Helicopter Safety Team (www.IHST.org) developed seven safety initiatives for operators and pilots that would have the strongest impact on reducing helicopter accidents. They focus in general on pilot training, safety and risk management concepts, and maintenance practices. 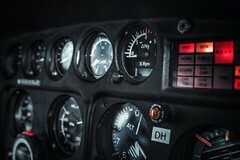 Install and use cockpit recording devices – Install and incorporate flight data monitoring equipment to record the actions of the flight crew. Data can be used for immediate feedback to trainers, operators and flight crews. The data could also aid during accident investigation to support a more complete analysis and future safety recommendations. Improve Autorotation Training – Enhance autorotation training in both primary and advanced flight training and develop simulator programs to improve autorotation skills. 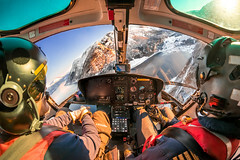 Add Advanced Maneuvers to Simulator Training – Incorporate a simulator training program that includes dynamic rollover, emergency procedures training, ground resonance, quick stop maneuvers, targeting approach procedures, and practice with pinnacle approaches, unimproved landing areas, and elevated platforms. Enhance training about awareness, performance and emergencies – Establish training programs that evaluate the proficiency of critical issues such as systems failures, impending weather concerns, effects of density altitude, and wind and surface conditions. Continually evaluate pilots on aircraft performance, the effects of density altitude, gross weight and flight manual limitations. Also emphasize loss of system, recognition and recovery training. Implement a personal risk management program – Encourage the use of a personal risk management program such as the IMSAFE checklist and other simple safety tools. Establish a Safety Management System – A formal Safety Management System (SMS) requires training for specific missions, the establishment and enforcement of standard operating procedures, provisions and training of personnel to use risk assessment tools, and most importantly, a focus on changing the safety culture to ensure that all personnel put safety first during every mission. Adhere to maintenance compliance and quality assurance – Strictly follow the manufacturer’s maintenance manuals and practices. Implement a robust quality assurance program that ensures the use of manufacturers maintenance manuals, service bulletins, and procedures.